Something in your game feels off, you’re not happy with your recent results and one of your key shots isn’t working as it should. Do you need a new racquet? The question is that most of the time you don’t, but it’s damn fun to buy one. A lot of the time, the money we spend buying new racquets and strings could have been better put to use with a coach and a few tennis lessons. But on the other hand tennis is supposed to be fun and buying new gear IS fun! Also, there is a reason that tennis players are so picky with their gear = it IS important. But before you order a new racquet, maybe it’s time to go for a run, take a lesson, think it through and see what happens. Will you be fine with the racquet you have? Maybe you just need to add some lead tape, find a more suitable tennis string or put some blu tack in the handle (silicone is also fine, but messier)? Maybe you still want to buy a new racquet? New is nice, new can be refreshing, but don’t expect a new racquet to bring you a completely new game. Only hard work and paying attention to your own technique and fitness does that. But if you can find a racquet that feels like a magic wand in your hand and the right string for it, then that hunt is over for the moment and you can focus on the results. Or if you’re like me, that will work for about 3-6 months before you’re on your next racquet hunt again. Where to buy a tennis racquet? I am using Head XT Instinct Mp and looking to buy mew racquet. I used it for 5 months and I want more stable and easy to spin racquet. I like 97-100 inch racquets. Which racquet should I try? * Babolat Pure Strike 98 (2017) – stable, spin-friendly – but deemed as “stiff” and arm-unfriendly by some. * Yonex DR 98 – Great stick, more stable than previous version. Works best with Yonex Poly Tour Pro strings in my opinion. * Babolat Pure Aero – great spin and quite stable. Potentially quite stiff so depends on if you have arm-issues or not. * Wilson Blade 98 CV 16×19 – stable, spin-friendly. * Yonex VCORE DUEL G 97 (310) – solid option with some great reviews. Please remember that you could add lead tape to your racquet to increase weight and make it more stable. For example lead at 3 and 9 o’clock on your Instinc racquet might make it feel brand new. Strings are also an important part so if you want more spin – there are lots of spin-friendly strings out there. Solinco Tour Bite or Solinco Hyper-G are two strings I gladly recommend. I dont have any arm issues and I like Babolat and Wilson more. What do you think about Wilson Pro Staff 97? Some people say it has incosistent string bed. Did you try it? 4) Wilson Pro Staff 97 RF – Loved that racquet. First I am thinking to buy Wilson Pro Staff 97 RF but I dont have any chance to demo it in Turkey. So I am not sure if I can handle 340 gr? I started tennis with 320 gr racquet and was very happy with its weight. Tough one! Just had an hour’s hitting again with the Pure Strike 16/19 and though a lot of people think it’s stiff it is hard to deny that it’s a great racquet and feels quite stable for its low weight. The RF 97 is also a very good racquet, but it can be a lot of weight to handle in a long match. Very difficult choice indeed. I’d probably go for the Pure Strike 16/19 personally since I like to swing fast, but it is personal taste and depends a lot on your playing style. After a lot of search, I decided to add lead and heavier overgrip and than try. In Turkey, I found Wilson Tungsten tape. I think this sounds like a sensible idea! 12 gram overgrip sounds like a lot, but maybe you add two? Wilson Pro Overgrip is usually around 6-7 grams. If you’re up for a higher swing weight I think this is a good start! I have gone from playing relatively head light racquets to around 4 pts HL in balance and I think most modern setups are quite close to this. Let me know how it goes. The beauty of customisation is that you can always go back or try less lead tape or add some lead on the handle etc. I started to customise Head racquet but when I put racquet on scale, I saw that it is 295 gr. instead of 300 gr I am very very confused. It must be 300 gr but it seems 5 gr. off. Is it normal? Is it the same on Wilson and Babolat racquets? I’m a 4.0 player, tall (6’4) flat hitter/no spin, currently hit the 2015 Pure Drive Team, can lose control on some of my forehands. Any racquet suggestions that would be worth a try demoing? Thanks, love your site! Sounds like you need a less powerful racquet. I’d check out the Prince Textreme Tour 100P or a Babolat Pure Strike 16×19, or the Wilson Blade 98. This is obviously a bit depending on your game style, but these are all relatively lightweight, easy to use, and slightly less powerful than the Pure Drive. I’m getting back into tennis after a 10+ year layoff after being semi-competitive in highschool and college. I actually tried to get back in a few years ago, found I couldn’t play like I used to and got too frustrated to continue. Then I tried hitting some of my friends sticks (Liquidmetal Radical MP 18×20) and found I could feel the ball on my strings and place it where ever I wanted, and I realised that maybe my old rackets just weren’t suited to a game where I don’t just run a million miles far behind the baseline swinging as hard as I can with an extreme western grip. My old sticks were stiff, open string pattern nCodes (and them having years old string probably didn’t help). So I switched to a semiwestern grip, started stepping into the baseline and found that I really love narrow beam, flexy rackets. I’ve demoed a bunch already, I liked the feel of the Babolot Pure Control so much I picked one up right away. The problem I’m having now is with such a dense string bed, I can’t just flick my wrist and get a ton of spin on balls when I’m rushed on defense, so I’m thinking about trying some more open string patterns. So far the ones I’ve liked are the microgel radical, the revpro prestige (tho the 93 inches made a sweet spot too small for my imprecise swings), and the volkl organix G9. I didn’t like anything out of the wilson burn line, or the pure strike line, which felt “hollow” too me on contact, for lack of a better word. I also tried a bunch of less “player” oriented rackets but hated everything bellow 11 ounces or above 98 sq in, which again killed all the feel for me. Any suggestions for new things to try? The new dunlop/srixon is top of my list, but some of the yonex sticks with 16 mains look like they might give me that easy spin I’m looking for. Thanks for any thoughts! Thanks for your e-mail and your story. This all offer nice flex, are manoeuvrable yet stable and provide enough spin. 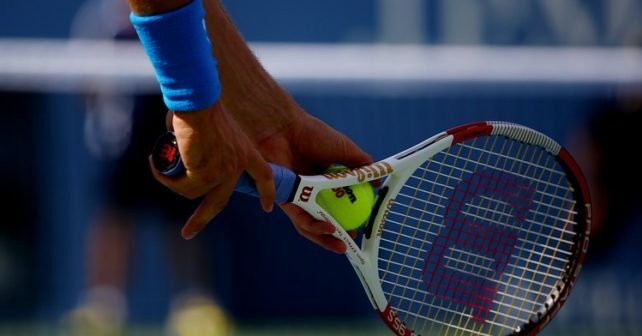 Remember that strings are a vital part of the racquet as well and can increase your spin potential quite a bit.